Four years ago, two young men decided to take advantage of the pop-up phenomenon and showed works in an empty commercial space. Now their Victoria gallery, Edel Assanti, is at the centre of a new art district. In 2009, Charlie Fellowes and Jeremy Epstein talked their way into Westminster City Council offices. The recession was, as Fellowes says, 'biting hard' and buildings were lying dormant for weeks or months at a time. 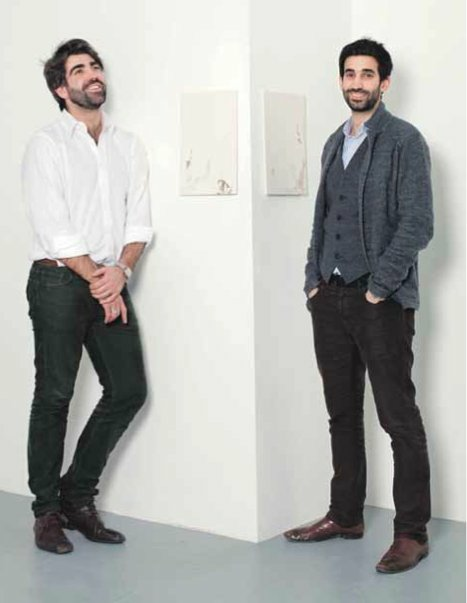 Why not allow the two young men, who had worked at Hamiltons and Gagosian galleries respectively, to open a pop-up gallery in an empty space? The council liked the idea and eventually a six-storey office building in the heart of Victoria became available. Cheung graduated from the Royal College of Art in 2001 and, since then, has been forging an international reputation with his vivid and unsettling images of utopian and dystopian worlds. Fellowes and Epstein are looking for a balance of established artists such as Cheung and comparitively recent art-school graduates such as Noemie Goudal, a recipient of a Land Securities Studio Award who graduated from the Royal College in 2010. Ask the gallery owners - who named the space after Fellowes' Maltese great- uncle and Epstein's Polish grandmother - how the recession has hit them and both laugh. 'We started out in the most hopeless moment of it, so we don't know anything different,' says Epstein. They add, rather encouragingly, that 'things feel as though they are picking up'.